Over at the Official BAT-BLOG FACEBOOK Page the other day a friend of ours named Mark sent us this extremely awesome photo of his family doing some serious Batman-themed Cosplay. In fact, it's so great I know I had to share it here. Check it out! His Brother Adam is Batman! 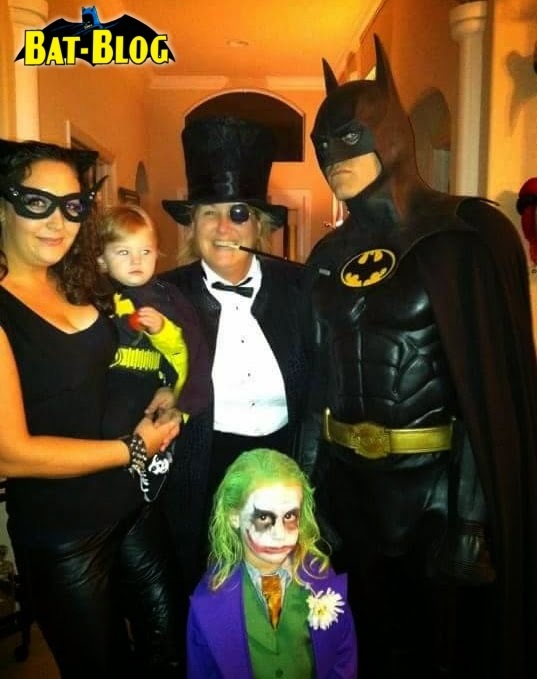 Adam's lovely Wife is Catwoman! Plus, his Son is the Joker and his Baby Daughter is an adorable little Batgirl!